Working with Cassandra can be challenging, especially for organizations implementing their first use case. Using trained experts can greatly improve the success of your projects. Our Implementation Services cover the gamut from integration, detailed design to full custom implementation of DSE and Apache Cassandra based solutions. Our trained architects and engineers have hands-on experience implementing from-scratch applications or fine-tuning and enhancing existing ones. We provide managed services for cloud environments such as AWS and Azure as well as on-prem clusters. We bring a holistic approach to our Cassandra Managed Services offering, to ensure your business goals and operational needs are met. In this phase, we start by assessing the current state of Apache Cassandra or DataStax deployment (whether still in development or production) and produce a comprehensive report that outlines our findings regarding key configuration settings, data sizes, transaction volumes, replication, infrastructure, etc. With an understanding of the business use case and constraints, we then come up with a list of recommendations to ensure that the production deployment of Apache Cassandra or DataStax Enterprise meets business requirements. Recommendations for ongoing, smooth operations and management with an emphasis on performance, availability and disaster recovery are included. Orzota has pre-built tools for automating many of the ongoing operations of a Apache Cassandra or DataStax Enterprise environment. We also have experience with several third-party tools and will recommend the right tools for your environment. Tools will be customized to your environment, and new integrations added as required to automate as much of the operations as possible including repair, backups, monitoring, alerting and cleanups. The Cassandra Managed Services Packages provide active monitoring, maintenance and updates of your Datastax Enterprise distribution (DSE) or open-source Apache Cassandra, whether on-prem or cloud environments. Managed Services are provided using the automated tools and services developed as part of the assessment and automation phases. 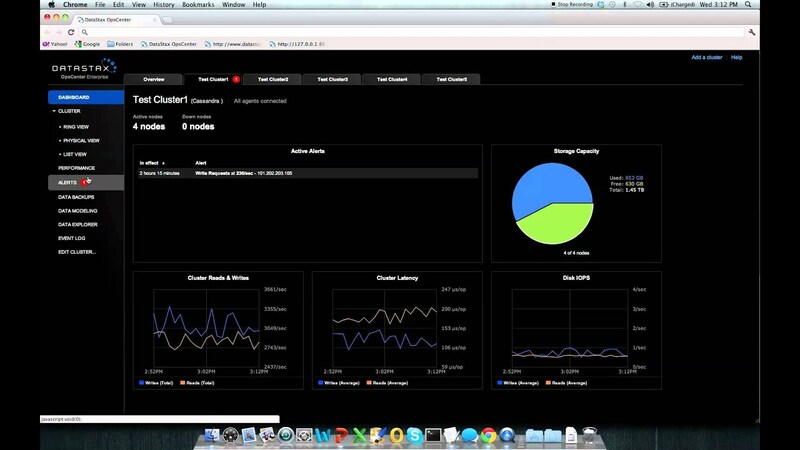 Monitoring and alerts management of the entire DSE/Cassandra clusters. Maintenance, updates and patch management. Remote 8×5, email and help desk. Performance tuning is both a science and art requiring deep expertise in the way the entire software stack and infrastructure interact while running specific customer applications and workloads. Our team comes with impeccable performance engineering credentials and can do end-to-end performance management including custom benchmark creation, benchmark execution and tuning, investigation of performance bottlenecks in production and making recommendations for improvement. We also offer Performance Management as an ongoing service with periodic re-evaluation of application performance and fine tuning to ensure performance SLAs are met.